As Downtown Disney and Disney Springs continues to evolve, sometimes it’s fun to look back at the days of yesteryear. In this case, let’s head on down to Pleasure Island’s Neon Armadillo! Neon Armadillo was a kitschy country and western nightclub that opened with the rest of Pleasure Island in 1989. It came complete with Navajo patterned decor, a brass chandelier shaped like a spur, cactus iconography, and plenty of the namesake neon. Early in its lifespan the Neon Armadillo even had a pair of food bars dedicated to the sizzling specialty known as fajitas, with the unmistakable smell of charred beef, chicken, and seafood. 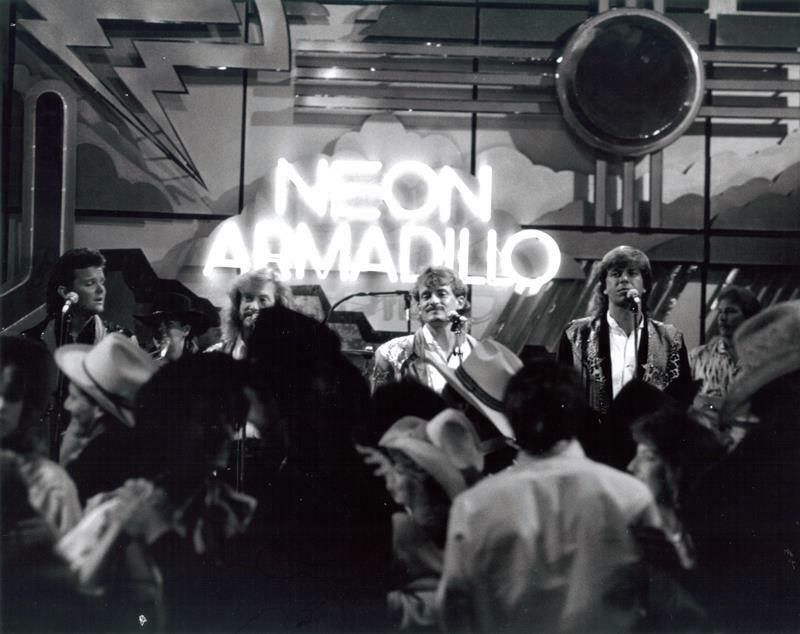 In 1993 it even played host to a short-lived syndicated television show, Countdown at the Neon Armadillo. The club would shut its doors for the last time in 1998 to make way for the BET Soundstage. Constructed to house the vast array of exotic desert plants collected by island founder, a globe-trotter and amateur cactogogist Merriweather Pleasure. Pleasure regarded the Greenhouse has his personal Eden. He nurtured his “prickly pals,” as he called them, with fanatical devotion. After Pleasure’s disappearance in 1941, his Greenhouse was sealed off. When it reopened in 1989, scientists discovered a huge and happy family of armadillos. This inhabitants were immortalized in neon by the Island renovators.